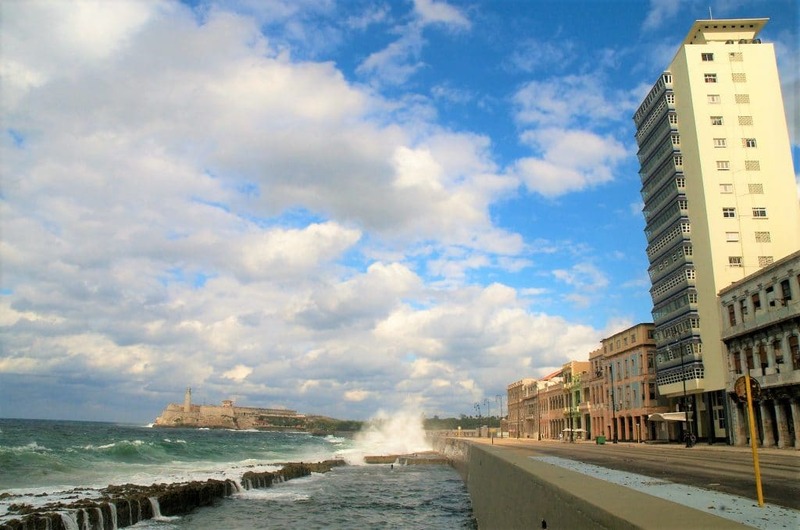 It’s no secret to anyone that Cuba, in recent years, has been quite the star magnet and that U.S. celebrities have been parading down Havana to enjoy Cuba holidays since Obama first opened the door to Cuba travel with his administration’s rapprochement measures. First, there was the much-publicised Cuba holidays of Jay-Z and Beyonce, who visited every Havana haunt in vogue at the time (and made some unknown local restaurant and nightclub venues jump to international fame overnight). Then there was the explosive arrival of Rihanna with a cover spread on Vanity Fair documenting her Cuba trip. Katy Perry followed suit with a rather low-key private Cuba holiday where she enjoyed a private salsa concert, the Kardashians (not ones to be left out) made it to the latest tropical destination in fashion with a full entourage and shared their time in Havana with the world through their many social media posts. And then there was Madonna’s epic 58th birthday bash celebrated on the rooftop of La Guarida in Havana (Cuba’s most famous “paladar”, a.k.a private restaurant). And that’s just to mention a few of the most famous celebrities who’ve made it to Cuba in the last three years to soak up the island’s flamboyant flair and exciting nightlife. “It was a great honour for me and my band to share my music tonight with Susan Sarandon and Owen Wilson in Havana”. It’s not the first time the Oscar-winning American actress visits the island as she first enjoyed Cuba holidays quite some years ago. As for Owen Wilson, the comedian and scriptwriter strolled down Havana donning a typical Cuban straw and the pair were recognised by a handful of Cubans who captured the moment with their phones as they walked down San Rafael’s boulevard. We’re not sure where they’ve been staying these days, whether they’ve enjoyed more than one accommodation in Havana or whether they’ve spent time in any of Havana’s casas particulares, but we do know that during their holiday in Cuba this week they also stopped by the hip and trendy nightlife complex known as Fabrica de Arte Cubano (F.A.C), where they were given the official tour by its creator, Cuban musician X Alfonso. HRH Prince Charles is next! And the parade of worldwide celebrities in Havana isn´t stopping any time soon as it has just been confirmed that HRH Prince Charles will be landing in the Cuban capital as early as 24th March for an official visit as part of his 12-day Caribbean tour. He will spend three days in Havana to and is expected to dine with Cuba’s new President, Miguel Diaz-Canel. He might not be staying at a casa particular in Havana, but we’ll keep you in the loop regardless as the date nears given that this will mark the first time a British royal touches down in Havana in more than half a century!